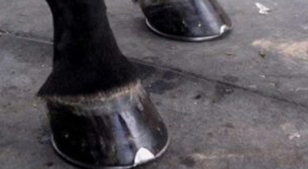 The Foot and Shoeing online course is perfect for anyone caring for horses. Learn all about the foot, the correct care, potential ailments and the shoeing process.‘No Foot, No Horse’ is a commonly quoted phrase, as without balanced feet, which are in good condition, your horse will not stay sound. If your horse is lame, then he cannot be ridden, and there is no point having a horse that can’t be ridden!It is important therefore to have a good knowledge and understanding of the structure of the foot, the correct care of the foot, potential ailments and to know about shoeing so that you can care for your horses feet adequately. Although you pay your farrier to come and care for your horse’s feet once every 6 weeks, do not under estimate the importance of the correct daily care and its impact on your horse’s well being. By the end of this course, you will have a full understanding of the horse’s foot and of shoeing. The structure of the foot. The correct care of the foot. How to recognise a newly shod foot and signs that a horse needs shoeing. How to remove a shoe. Remedial shoeing and surgical shoes.